Mike Bonacorsi is a CERTIFIED FINANCIAL PLANNER™ professional and Certified Divorce Financial Analyst™ with over 20 of experience years in the financial services industry. Mike strives to develop strong long-term relationships with clients through communication, education and service as he works to help them transition through life’s expected and unexpected events. Active in his local community Mike has served on the Boards of several non-profits and industry groups including the Souhegan Valley Chamber of Commerce (Past Chair), Financial Planning Association of Northern New England (Past-President) and the Collaborative Law Alliance of New Hampshire. 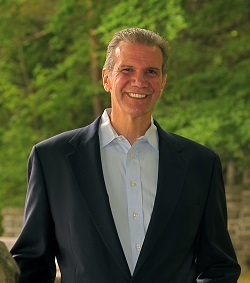 Mike is the author of “Retirement Readiness” and has contributed retirement planning advice to various books and sites. Mike enjoys an active life with his wife Karen, biking, skiing, and daily exercise as well as spending time with their family.